Recently we’ve seen a spate of hit and runs on Australia’s roads. From Ballarat in Victoria, to Glebe in Sydney, to Mandurah in Perth, to Dutton Park in Brisbane – all within the last couple of months. These incidents are only the tip of the iceberg when it comes to cyclists being harmed on our roads and are a stark reminder of the dangerous reality of being a cyclist here in Australia. As a cyclist who is also a father, husband, son, brother and mate, and is regularly on the receiving end of road rage, I constantly wonder what type of mindset these people have. How could they treat fellow human beings with such disregard? Having to slow down for a few seconds, or pull away from a cycling bunch, surely isn’t that much trouble, is it? The word “cyclist” seems to raise strong emotions in some, including anger. Phrases like these are not uncommon: “those cyclists slow me down”; ”they get in the way”’; “they run red lights and break the road rules”. 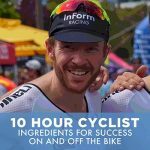 Derryn Hinch even calls cyclists “cockroaches”… These beliefs about cyclists have the potential to lead to dangerous actions on the road, which can lead to accidents that have dire consequences. But perhaps even more disappointing, adding fuel to the fire, these beliefs and actions can filter down to children, promoting a revolving door of road rage and anger towards cyclists for years to come. Are we just dealing with bullies? While the law clearly states that the road is to be shared by drivers and cyclists, some drivers ignore this rule and switch to bully mode, attempting to stamp their authority on the road and push the smaller vehicle out of the way. The car is a far bigger and stronger vehicle in a two-way battle on the roads. Sure, getting in the way and slowing a driver down for a few seconds isn’t ideal, but is it worth instilling fear into another human being, or worse yet, running them off the road? Is it the bully syndrome that is being expressed on our roads? Alternatively, do these incidents result from a negative belief system some drivers have about cyclists that is deeply ingrained within our culture? Could these views have been passed down from interactions with family, friends and what is heard in the media? When you drive down a narrow road and see a cyclist up ahead, what is the first thought that pops into your mind? 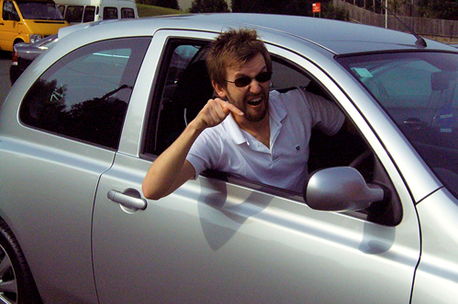 What do you hear other drivers say about cyclists when you are in the passenger seat? All Australian drivers need to ask themselves these questions so we can work out a way to change perceptions about cyclists and create a safer community out there on our roads. It is clear that there is a problem on our roads that needs to be addressed. While this issue may be far too big to take on as individuals we can all play our part. 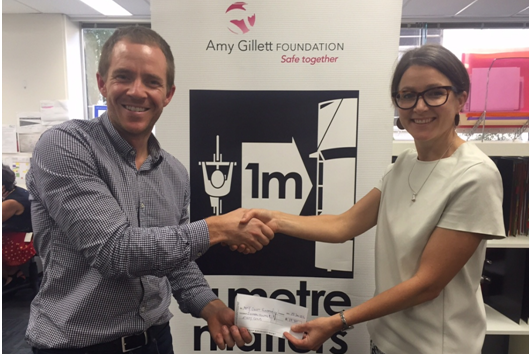 At Bike Chaser we actively support the Amy Gillett Foundation in any way we can. We think of them as the one entity beating the drum for all cyclists, all around Australia. Their mission statement is “safe cycling in Australia” and their vision “zero bike rider fatalities”. The Amy Gillett Foundation’s mantra, “A Metre Matters”, is being discussed with state and territory governments all around the country. The “A Metre Matters” campaign proposes that motorists must keep a distance of at least one metre when passing cyclists. So far, South Australia and Queensland governments have introduced this as law, while some other states are in trial mode. While this initiative is by no means the silver bullet to eliminating anger towards cyclists, it’s certainly a step in the right direction. A step that we hope will shift the attitude towards treating cyclists as equals on the road. At Bike Chaser, we throw our support behind the AGF by donating a portion of each advertisement fee back to rider safety. Bike Chaser co-founder Cameron Nicholls presenting Amy Gillett Foundation CEO Phoebe Dunn with our latest ad revenue donation. Very strong analysis Cameron, you are experienced cyclist and you know better how to deal with road rage. The problem is the human being who has less patience on the road. Everyone are rushing and it is very easy to blame someone when accident was not my fault. Many road rage ends-up hurting each other and caused heavy load of traffic. Stay calm on the road, because many are not.